GlobalCastMD is Dedicated to the rapid advancement of care. Everywhere. Dr. Jeremiah Alt MD PhD currently serves as a faculty member in the Division of Otolaryngology, Head and Neck Surgery at the University of Utah. He is the Co-Director of the Rhinology-Sinus and Skull Base Surgery Program and the Sinus & Skull Base Surgery Fellowship Program. Dr. Alt serves as the chair of the Education Committee for the American Rhinologic Society (ARS) and sits on several committees in the North American Skull Base Society (NASBS). Dr. Alt is a member of the Nanoinstitute of Medicine at the University of Utah and is an Adjunct Assistant Professor in the Departments of Medicinal Chemistry, BioMedical Engineering and Pharmaceutics & Pharmaceutical Chemistry at the University of Utah. He is also the Director of the Sinus & Skull Base translational research program that is funded through the National Institute of Health and Foundation support. During this event, our co-hosts, Aaron P. Garrison, MD, and Monica Holder, BSN, RN II, CPN, answered questions from families and caretakers, online, in real-time. 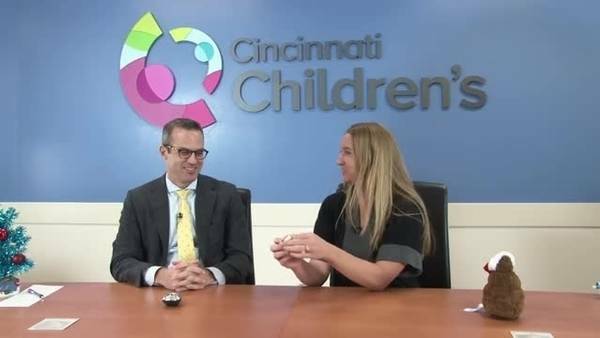 The Colorectal Center at Cincinnati Children’s is one of the most comprehensive pediatric colorectal centers in the world. Each year, our team cares for more than 700 patients with Hirschsprung disease, anorectal malformations, inflammatory bowel disease and other colorectal conditions.